In this major new book on Virginia Woolf, Caramagno contends psychobiography has much to gain from a closer engagement with science. Literary studies of Woolf's life have been written almost exclusively from a psychoanalytic perspective. They portray Woolf as a victim of the Freudian "family romance," reducing her art to a neurotic evasion of a traumatic childhood. 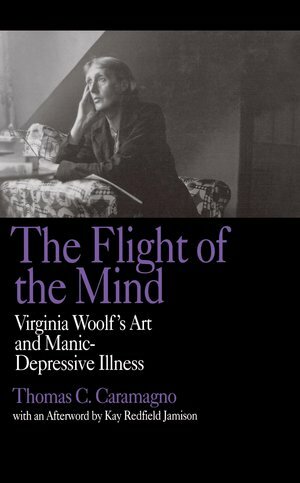 But current knowledge about manic-depressive illness—its genetic transmission, its biochemistry, and its effect on brain function—reveals a new relationship between Woolf's art and her illness. Caramagno demonstrates how Woolf used her illness intelligently and creatively in her theories of fiction, of mental functioning, and of self structure. Her novels dramatize her struggle to imagine and master psychic fragmentation. They helped her restore form and value to her own sense of self and lead her readers to an enriched appreciation of the complexity of human consciousness. Thomas C. Caramagno teaches in the Department of English at the University of Nebraska. Kay Redfield Jamison is Associate Professor of Psychiatry at the Johns Hopkins University School of Medicine.